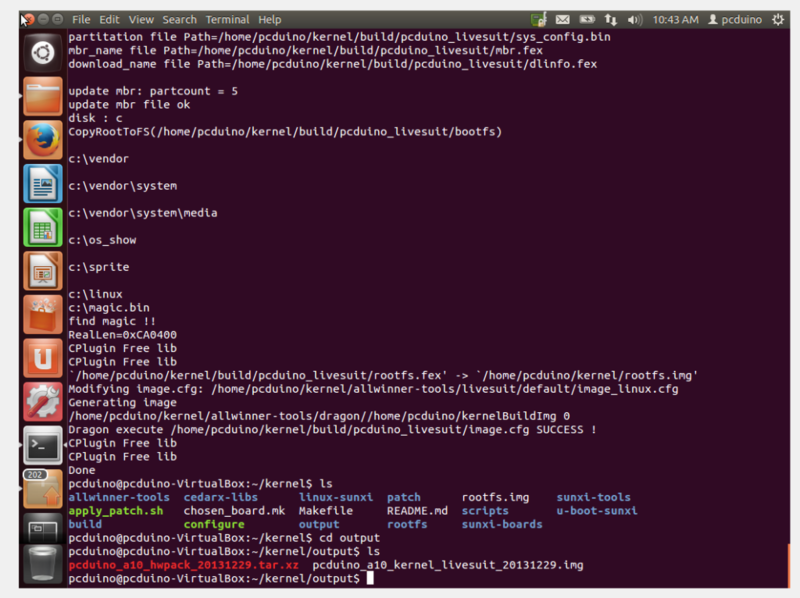 This tutorial discusses how to cross build linux kernel for pcDuino on a X86-64 machine. For information on how to set up a X86-PC machine development environment, please refer to How to setup a X86-64 Virtual Box Cross Compilation Build Enviroment for pcDuino. Across our learn center, we will use ‘#’ to indicate that this command is running on a X86-PC, and ‘$’ to indicate that this command is running on pcDuino. 1. Download kernel source files from Github. This step only downloads the build environment. There are some submodules from https://github.com/linux-sunxi/. Run “make” under kernel/ directory ( Do not compile the source file under kernel/linux-sunxi directory ). pcduino_a10_hwpack_YYYYMMDD.tar.xz ( includes uboot for mmc-boot, kernel, and driver modules ). For the first time, it will download the required source code from https://github.com/linux-sunxi/. For each time run “make”, it will apply the patch for pcduino. The patch for pcduino is located at kernel/patch/ directory. All the object files generated by compile tools saved in kernel/build directory. Compile kernel under kernel/linux-sunxi directory will make the build environment “dirty”. If your have done it before. 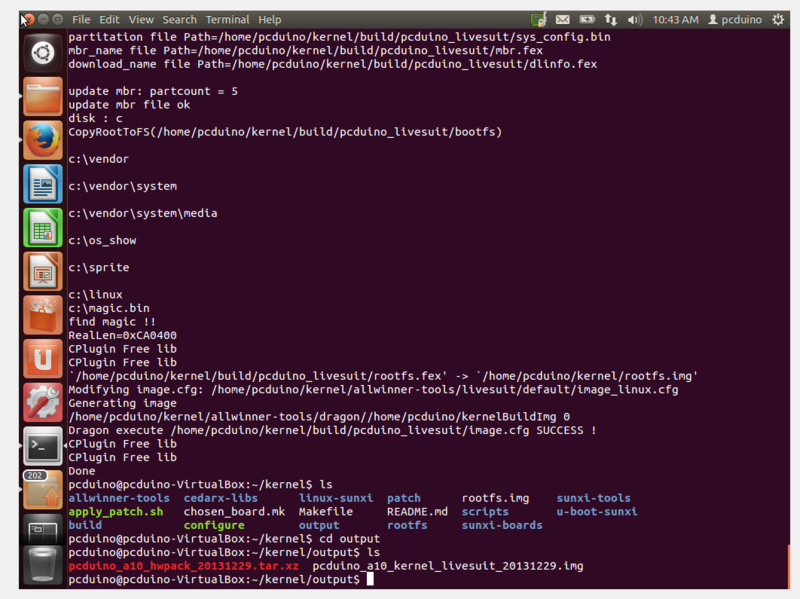 clean up by running “make mrproper” under kernel/linux-sunxi. For information on how to replace kernel with the newly generated kernel, please refer to: How to Replace Kernel of pcDuino? ia32-libs seems not existing @ 14.04.1 version anymore, how to do alternatively?